The concert on December 14, 2015 marks Sting’s first timeheadlining a full performance at Carnegie Hall. He will also be joined by a quintet comprised of Dominic Miller (Sting’s longtime guitarist), Jo Lawry (vocalist), Ira Coleman (bassist), Joe Bonadio (percussionist), and Mike Ricchiuti (keyboards). All proceeds from the performance will benefit Carnegie Hall’s artistic and music education programs. 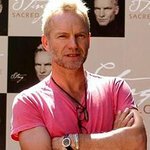 Sting first performed at Carnegie Hall in March 1991 at the first of many concerts benefiting the The Rainforest Foundation, the non-profit organization he co-founded with wife, Trudie Styler, in 1989. He has since appeared 18 other times in Stern Auditorium / Perelman Stage at performances supporting important causes, including 16 additional Rainforest Fund benefit concerts; a 1997 concert benefiting the Elton John AIDS Foundation; and Carnegie Hall’s 120th Anniversary Gala in April 2011, created and hosted by singer-songwriter James Taylor. Gala benefit tickets for An Evening with Sting: Symphonicities include the best possible concert seating as well as admission to either a pre-concert cocktail reception at Carnegie Hall’s Rohatyn Room for $1,000 or the post-concert dinner at The Plaza starting at $2,500. Tables of 8 or 10 for the gala dinner begin at $25,000. All gala tickets are available for purchase starting on Thursday, July 23 at 11:00 a.m. by calling the Special Events office at 212-903-9679 or visiting online at carnegiehall.org/specialevents. 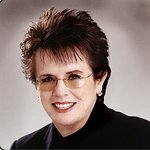 A limited number of concert-only tickets, priced $125–$350, will be available for sale to Carnegie Hall subscribers and donors on Monday, August 17 and to the general public on Monday, August 24 at 8:00 a.m. at the Carnegie Hall Box Office, by calling CarnegieCharge at 212-247-7800, or visiting online at carnegiehall.org.